A Wigan pensioner has admitted to mowing down a teacher at a tourist attraction. A court heard that Keith Dootson ploughed into Adele Nicholl in the car park of Kendal’s Sizergh Castle, leaving her badly wounded. 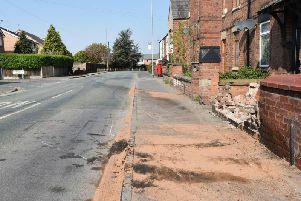 The 77-year-old of Scot Lane, Aspull, appeared before a Carlisle Crown Court judge this week to admit causing his victim serious injury by dangerous driving. The teacher is said to have been with a large group of students from Kirkbie Kendal School, Kendal, taking part in a walk on July 17 2017. During the court hearing, Dootson pleaded not guilty to a second charge alleging that his dangerous driving also caused serious injury to a female pupil. “I do not consider it is in the public interest to have a separate trial for the second injury. Dootson - himself a former teacher, the court heard - had his case adjourned and is due to be sentenced for the one offence he admits on April 26. An interim driving ban was imposed. However, it was said Dootson hadn’t driven since an incident his lawyer stated was “borne out of panic”, and had also surrendered his licence. Judge James Adkin ordered the preparation of a full probation service pre-sentence report. “The circumstances of this case are very unusual,” he said. “You are a 77-year-old man of good character but the allegation to which you have pleaded guilty is very serious. Dootson was granted bail until next month but told that shouldn’t be taken as a “hint” as to what his punishment would be.